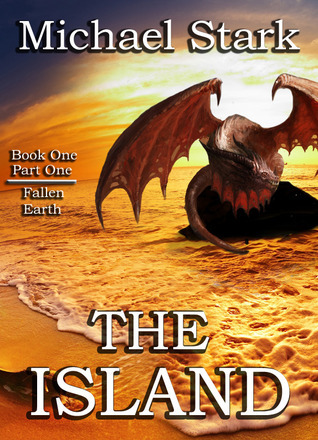 I’m not sure how to classify The Island of the Fallen Earth Series, now that I’ve finished it. There are elements of Constantine, connotations of various zombie tropes, references to European pre-Christian era mythology, and almost Matrix-like references to a specific person being the embodiment of something. The base of it all is beautifully human and grounded in the world as we know it today. The story telling is solid. I sometimes had trouble following all of the supporting characters, but it rarely conflicted with my enjoyment of the story. Following the main trunk of the narrative was smooth running. Stark kept a steady stream of information and presence running through his narrater, William Hill. Flawed and sometimes humanly stressed and damaged, William is still a relatable and reliable voice the resonates throughout the story. I appreciated how his stream of consciousness flowed easily through the past, present and future. It felt like really being inside someone’s mind, experiencing the world with them. The first three novellas are free onAmazon. Part 4 and the Final Part are ninety-nine cents. I very much recommend checking out this author if Michael Stark is new to you. This is not promotional material. I do not know Michael Stark and I purchased my own copies.